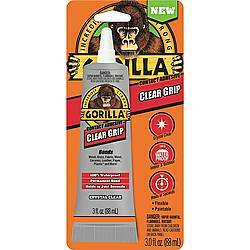 Gorilla Clear Grip is a flexible, fast-setting, crystal clear contact adhesive that creates a strong, permanent bond. 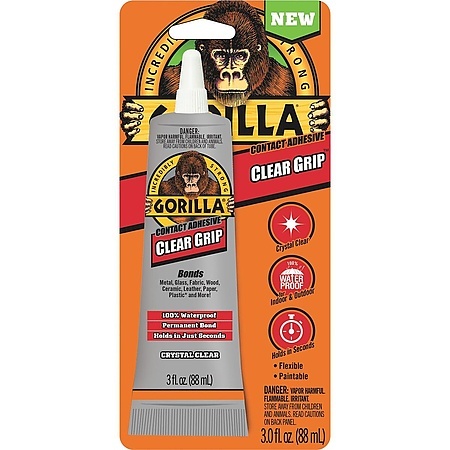 With its 100% waterproof formula, Gorilla Clear Grip is an excellent choice for indoor and outdoor projects. 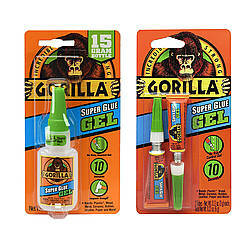 The gel, non-runny consistency of the adhesive makes projects and repairs easy to manage with little to no mess. Clear Grip has a flexible bond that holds in just seconds but should be given a minimum of 24 hours for a full cure. The cure time will depend upon temperature and surface type. 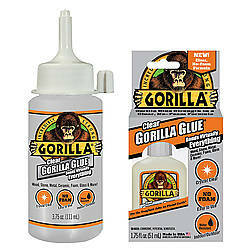 The clear glue makes it ideal for bonding metal, glass, fabric, wood, ceramic, leather, paper, photographs, and more. 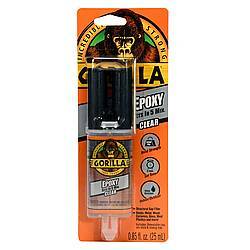 Gorilla Clear Grip glue is safe for the washer and dryer. 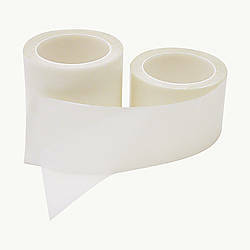 Note: *Not recommended for use on polystyrene, polypropylene or polyethylene products. Not for use on food contact surfaces. Do not dry clean. May cause damage to finished surfaces. All surfaces should be clean and free of dirt, grease and oil. Best if used between 50°F and 90°F. Clear Grip should only be used in a well ventilated area. Apply adhesive to each surface to be bonded. To maximize bond strength: Wait approximately two minutes for adhesive to partially dry before joining surfaces. Note: Bond forms immediately and can be difficult to reposition. Allow for a minimum of 24 hours for full cure. Cure time may increase with lower temperatures and when used on non-porous surfaces. After each use, wipe nozzle with a dry cloth and tightly replace cap. Store in a cool, dry location. 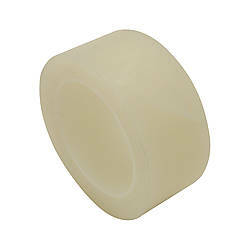 Tip: For easier re-opening, apply a thin coat of petroleum jelly to the threads before replacing cap. Store away from children and animals. 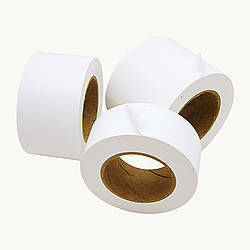 Wipe uncured adhesive with a dry cloth and clean with acetone, isopropyl alcohol, or citrus based solvents according to manufacturer’s instructions. Cured adhesive may be removed by scraping from surface. *Note: Not recommended for use on polystyrene, polypropylene or polyethylene products. Not for use on food contact surfaces. Do not dry clean. May cause damage to finished surfaces. 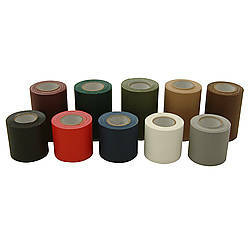 Adhesive: Clear How are adhesives different?